When do I start reaching out to agencies? How do I prepare for interviews? How do I set up interviews? What do I say if they offer me a job? How to write a “modular” resume. Building a network to help get interviews. What questions to ask during an interview to turn the conversation in your favor. How to sound smart when talking about salary. Old way - Create a resumé. Mail it to dozens of agencies. Fill out a profile on a job-hunting web site where “thousands of employers” will see it. Then wait for an email reply. Or hope your phone rings. New way - Leverage 18 years of advice given to successive waves of students who passed through one of the nation’s largest and most successful advertising and public relations undergraduate programs. 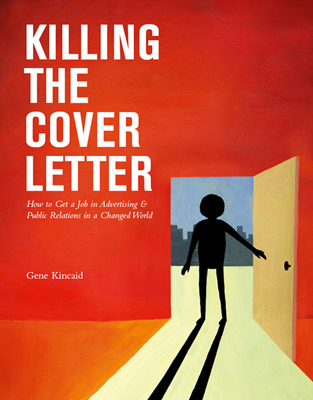 Start by killing the cover letter. © 2011 Gene Kincaid. All Rights Reserved.